we are blessed with a good eater. i know so many parents struggle with picky eaters and i am crossing my fingers that number two eats with as much gusto as number one. just like having a special toothbrush or potty seat to encourage good habits, a special dish doesn't hurt the situation at meal time-- no matter what kind of eater you got. 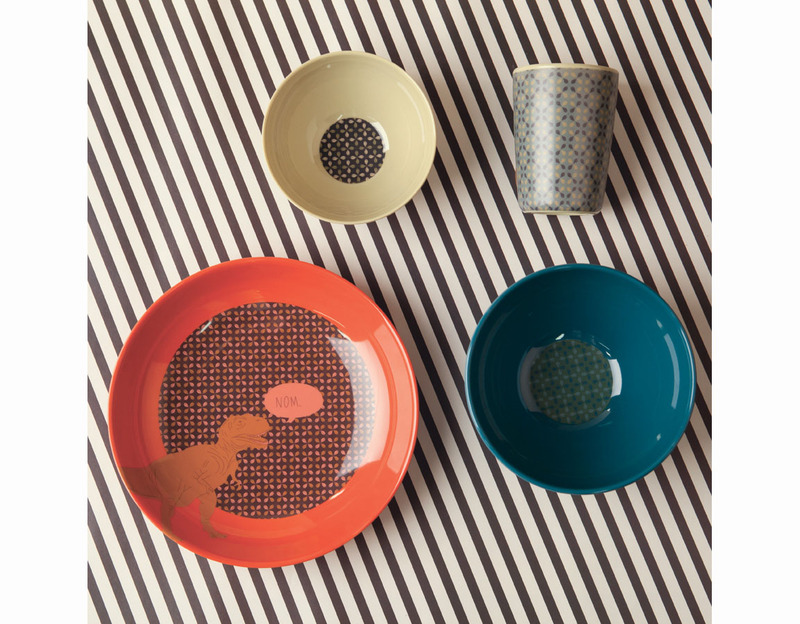 love mae has some beautiful dinnerware options for kids. i am especially wild about the dinosaur set--it's so hard to find boy-friendly designs that aren't cheap looking. shop here.